It’s also protected and safe. When we run to him, he saves us. There are folks who think that Christians surrender their freedom when they choose to follow Jesus. They think we give up our freedom to do as we please and take part in everything life has to offer. Those folks miss an important fact: Self-centeredness does not satisfy in the long-term. Even secular research has proven that truth. Several years ago, the Journal of Research in Personality published a study conducted by psychologists. They recorded their therapy sessions and found that individuals who used more of the first-person singular pronouns (I, me, my) were more likely to suffer from depression. Freedom from guilt. God forgives my sins and remembers them no more (Isaiah 43:25). How loving, merciful and gracious He is! Freedom from fear. He is my stronghold in time of trouble (Psalm 37:39.) How often have I called out, “Oh, Jesus,” with my heart pounding in my chest—at the moment a car crash was imminent, a child approached with blood oozing from his head, or the phone rang just before curfew, and our teenager wasn’t home yet. But fears can be quieted as we affirm who is in control. God is Lord of every circumstance. He is also the Source of solace, perspective, strength and wisdom–whatever I need, for every situation. Freedom from worry. God has promised to supply my needs (Philippians 4:19). When worries begin to whirl in my head, I try to put into practice what Kay Arthur teaches: “Focus on God. Rehearse his character, his promises, his works. Remember his names, his attributes and how they suit your situation” (His Imprint, My Expression, p. 117). Extolling God’s greatness causes my problems to shrink. Notice I said try. I’ve not always accepted God’s offer of freedom from worry. Sometimes dark clouds of concern fill my thoughts and blot out his goodness—his character, promises, and works. Sometimes it takes awhile for me to remember: My God is all-sufficient. 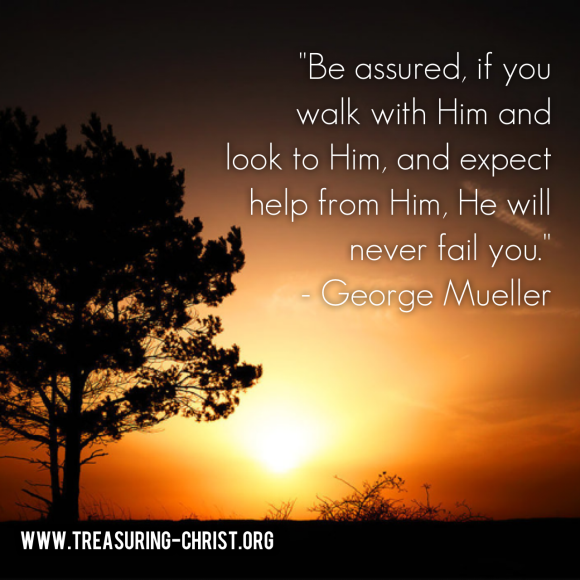 He will see me through. As I grow older, the gap is shortening between worry-onset and God-focused thinking. Practice hasn’t made perfect yet, but at least it’s producing improvement. Freedom from foolish decisions. He provides wisdom when I ask (James 1:5). Freedom from discouragement, because God is omnipotent. With him all things are possible (Matthew 19:26). He specializes in redeeming disappointment. And while we wait, our loving Father provides strength. The shroud of discouragement can also be lifted through gratitude, praise, and worship. Focusing on who our God is and what he has already provided can relieve the ache for what has not come to pass—yet. Freedom from loneliness, because He is always with me (Psalm 23:4). Freedom from prolonged sadness. Weeping may remain for a night, but rejoicing comes in the morning (Psalm 30:5). 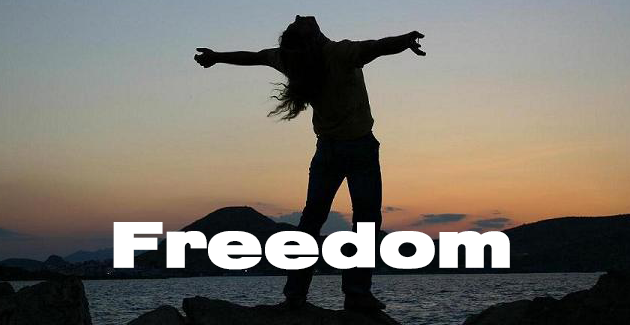 Freedom from feeling helpless. In God’s hands are strength and power (1 Chronicles 29:12). Freedom from feeling useless, as we live each moment for the praise of His glory (Ephesians 1:11-12). 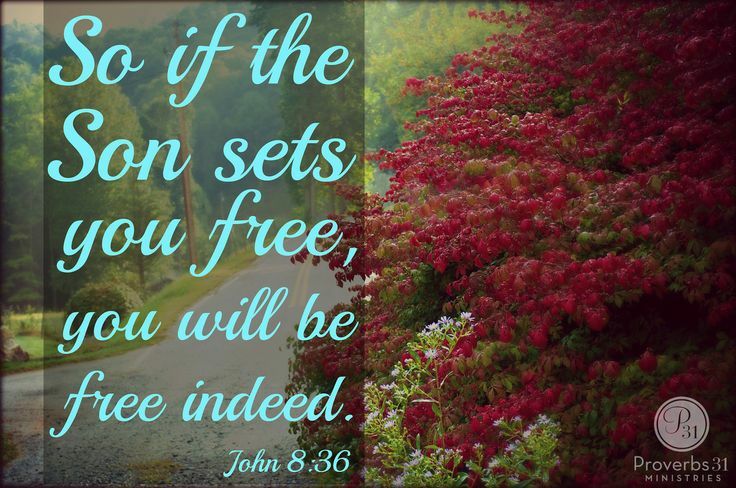 Jesus said, “If the Son sets you free, you will be free indeed” (John 8:36). What he offers is the spacious, free life–to those who follow him, to those who become the children of God. My heart is overwhelmed, Father, as I skim down this list of miseries for which you provide relief. No doubt there are even more freedoms that could be included. I pray that when these negative emotions threaten to overtake my spirit, you would tap me on the shoulder and remind me: the more I turn my thoughts and feelings over to you, the more spacious my soul will become to enjoy the freedom of your peace. Praise you, gracious God, for such glorious provision.